In the digital age, it has become easier for businesses of all sizes to connect with their target audiences. Whether you're selling jewelry-making supplies or clothing, the Internet has made it possible for entrepreneurs to communicate with consumers on a different, deeper level. One way in which business owners are regularly communicating with customers is email. This gives individuals the opportunity to directly message their target audience to provide them with valuable information pertaining to goods and services. As a beading business owner, you likely have already taken advantage of the opportunity to create an email list and use this as a primary means of communication with your customers --but are you overdoing it? Because email is simple to use, it's easy to get carried away and "send and forget it" at the click of a mouse. In turn, your messages may end up in the spam box of your customers, meaning they won't be read at all. If you want to make sure that your clients stay interested in your emails and you don't bombard them with too much unnecessary information, take the following pointers into consideration. The Federal Trade Commission developed the CAN-SPAM Act to reduce the annoyance of emails on customers and provide them with more transparency when it comes to these digital messages. Commercial businesses must comply with the regulations, which state that emails should not serve the primary purpose of advertisement or promotion. 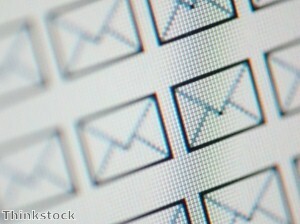 Companies must also give subscribers the opportunity to opt out of business emails. If you violate the CAN-SPAM Act, you can face a penalty of up to $16,000. However, there are a few ways you can make sure you don't cross the line. First, do not use deceptive information and avoid creating false subject lines in your emails. Next, if you intend to use your email as an advertisement, the law allows this as long as you clearly identify the message as a promotion. Finally, visit the Federal Trade Commission website for more information on the CAN-SPAM Act for any unanswered questions you have about the regulations. ChiefMarketer.com reports that perhaps the most effective way to make sure that your emails aren't going directly into spam filters is to listen to your clients. This means offering more than one type of message to your consumers and allowing them to subscribe to information that they want to know on a regular basis. For instance, give your clients the option to subscribe specifically on Swarovski beads if they don't care to receive emails on general business matters or other products you may have to offer. This lets consumers know that you truly care about what they have an interest in when it comes to your business and giving them more control can draw appreciation. When it comes to emailing clients, entrepreneurs often find themselves at a loss as to when to send out their messages. Once a week? Once a day? BusinessKnowHow.com reports that while once (or worse, twice) a day might be a little overkill, take your context into consideration. For example, if you want to send an email out about a sale that is happening at your beading store, but you have more than one sale a month, it's acceptable to message customers more than once over the course of a couple of weeks. The context of these emails will presumably have valuable information that clients will want to know leading up to the event. Although this might seem like a prime concern to have, an attractive email can go a long way when it comes to appealing to your consumers' tastes, according to InternetSeer.com. If necessary, this means hiring an individual at your company who specializes in web design to craft emails that are pleasing to the eye. Think color and pictures when it comes to creating messages that wow your audience. From the beginning, you should be working to create a reputation for your beading company and marketing campaign as a whole when you start sending out emails, according to Entrepreneur.com. This means making sure that everything from your subject lines to your content is pristine and helpful to readers. If you gain a bad reputation for your emails early on, it can be difficult to come back as more people will assume that your only interest is spamming them.